Hip impingement, sometimes called femoracetabular impingement or FAI, refers to abnormal contact and friction between the bones in the hip joint, usually caused by an imperfect fit between the head of the femur (the ball) and acetabulum (the socket). As a result, the labrum that surrounds and stabilizes the joint is pinched as the bones rub together, causing significant pain. The nature and extent of the impingement can vary depending on what part of the joint is out of place and which surrounding tissues are affected. What does hip impingement feel like? The primary symptom of hip impingement is a deep pain in the groin that can extend into the lower back or outer hip. Some patients describe the pain as being concentrated in a “C” shape around the hip. The pain often presents as a dull ache, but can turn into a sharp, stabbing pain during physical activity and as the condition worsens. If left untreated, the labrum will gradually tear and increase contact between the bones, resulting in stiffness, weakness, and inflammation in surrounding tissues. In some cases, the dislocated joint will place pressure on surrounding ligaments and tissues, which will, in turn, create friction with the bursa sac on the outside of your hip. The irritated bursa sac can then become inflamed or torn, resulting in intense pain. 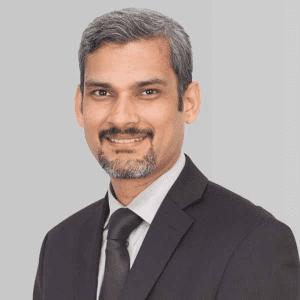 An orthopedic specialist can diagnose hip femoroacetabular impingement with a physical exam, during which the specialist will recreate the symptoms of the condition by bending the knee to the chest and rotating the thigh inward. The test should result in a pinching of the labrum, providing your specialist with a better understanding of the extent of the damage. Your specialist will then take an X-ray to determine the extent to which the shape of the bone is causing the impingement, as well as an MRI to identify damage to the labrum. Should arthroscopic surgery be necessary, your specialist might also order a CT scan to better map the shape of the bones before operating. A cam hip impingement arises when the head of the femur isn’t sufficiently rounded to fit within the acetabulum and labrum seal, creating friction at the end of the socket whenever the thigh or hip joint move. Because of the malformation, bone spurs will grow on the unrounded end of the femur, striking the labrum and grinding the articular cartilage inside the joint whenever the thigh is rotated. A pincer hip impingement occurs when the rim of the acetabulum hangs over the head of the femur, crushing the labrum in the process. Instead of sealing the ball into the socket, the labrum is pinched down towards the neck of the femur. This type of hip femoroacetabular impingement is a combination of both Cam-type and Pincer-type hip femoroacetabular impingement. FAI develops early and may go unnoticed throughout your life. It usually affects both hip joints and may happen in combination. While hip impingement can be debilitating, it isn’t untreatable. With some combination of physical therapy, anti-inflammatory injections, and, if necessary, reconstructive surgery, you can expect a full recovery. If you are in pain from hip impingement there are many treatment options available that can get you back on track in no time. At New York Bone and Joint, we strongly encourage our patients to consider non-surgical rehabilitation. 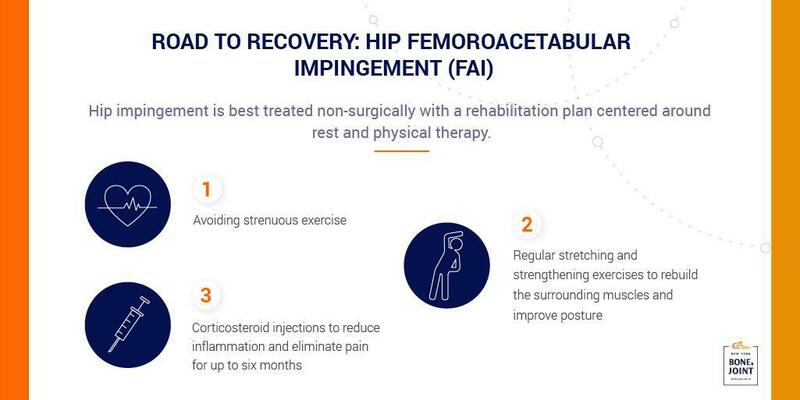 While hip impingement can be surgically repaired, we’ve found that non-invasive treatments reduce the risk of complications while promoting quicker recovery, resulting in better long-term outcomes. After your diagnosis, intense or prolonged physical activity should be avoided. A conservative course of treatment for hip impingement begins with physical therapy, which will help your body adjust to your hip abnormality and prevent future impingement. A physical therapist can evaluate your gait, range of motion, severity of pain, and the strength of surrounding muscles before devising an appropriate regimen of exercises. Most hip impingement exercises involve stretching, which makes the surrounding muscles and ligaments more flexible and thereby reduces contact with the bone. Other exercises focus on correcting your posture and gait, which can prevent limping, and strengthening the surrounding muscles, which can combat stiffening. Physical therapy can be complemented with corticosteroid injections into the affected joint. The steroid will initially cause numbness in the area before reducing pain for up to six months, providing much needed relief for patients struggling with chronic pain. 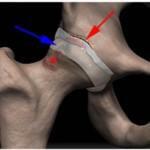 In more severe cases, hip impingement may need to be repaired surgically. Fortunately, even serious impingements can be corrected arthroscopically, resulting in shorter recovery times and reducing the possibility of long-term complications. During this procedure, your surgeon will make several small incisions into the skin surrounding the hip joint, inserting a camera through one of them to view the damaged hip while operating on it through another with small surgical instruments. After forming the incisions, your surgeon will remove damaged labral or articular cartilage from the joint and eliminate any bone spurs that caused the impingement. 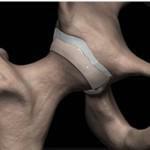 If necessary, your surgeon may also insert an anchor to tether the damaged labrum to the joint to ensure its stability. After your procedure, your doctor will prescribe physical therapy to restore your natural range of motion, strengthen weakened muscles, and prevent the growth of scar tissue. 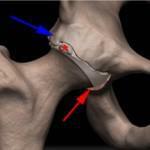 If bone spurs are causing the hip impingement, your surgeon might need to reshape the hip. 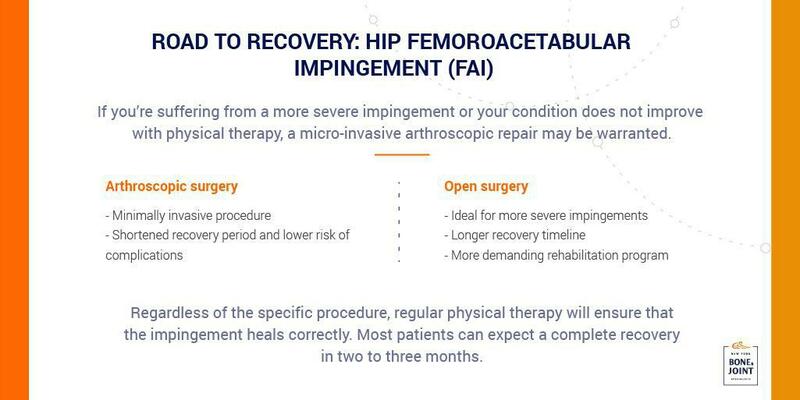 Should this be necessary, your surgeon would most likely do so with an arthroscopic procedure, but the most severe hip impingements may need to be corrected with an open procedure such as hip resurfacing or a partial or total hip joint replacement. In each case, your surgeon will remove a portion or all of the inner socket and femoral head and replace them with a metal and plastic prosthesis designed to mimic the gliding movement of a natural joint. As with less invasive procedures, physical therapy will be needed to ensure complete recovery. Your therapist will begin treatment by manually stretching your joint to prevent stiffness and preserve your range of motion. Then, you will do exercises that help you recover your normal gait. Eventually, you’ll also work on rebuilding the muscles in your legs and core so that they can better support the artificial joint. Throughout the process, your surgeon will schedule regular followup appointments to confirm that your recovery is proceeding smoothly.